Illinois legislators have voted to change the state law that automatically transfers juveniles to adult court for dealing drugs near schools or public housing–”which a nationwide alliance of children’s advocates once called the most racially biased transfer act in the country. State Sen. Ed Petka, a Republican from southwest suburban Plainfield who sponsored the transfer provision, said he backed this change because the law was almost exclusively applied to black teenagers from the city. “That was not our intent,” he said. 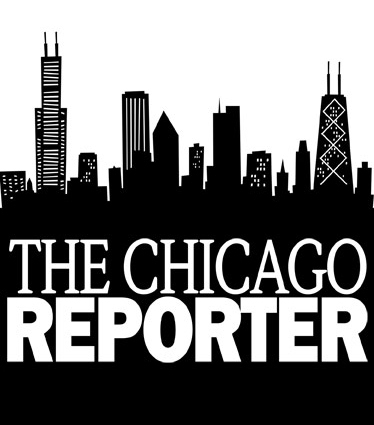 The disparity was first revealed by a May 2000 investigation by The Chicago Reporter. From 1995 to 1999, 99 percent of the 363 Cook County teenagers transferred to adult court for drug offenses were black or Latino, the Reporter found. And all but 10 were from Chicago. An analysis also showed that the city has a higher density of schools and public housing than suburban Cook County, making it more likely that city teens would be charged under the law. The amendment, House Bill 4129, is a change to the Juvenile Court Act of 1987. It would still send offending 15- and 16-year-olds to adult criminal court, but it gives them the right to petition judges to go back to juvenile court. Currently, judges have no discretion in these cases. The House passed the bill in April by a 65-46 vote, with one abstention, and the Senate approved it 43-11-1 in early May. Gov. George H. Ryan will decide this summer whether to sign the bill, said Ray Serati, Ryan’s deputy press secretary. Democratic Sen. Lisa Madigan of Chicago’s North Side joined a mostly Republican group of lawmakers in opposing the bill. Madigan is running in November for Illinois attorney general against DuPage County State’s Attorney Joe Birkett, a Republican. Changing the law made sense because it involved nonviolent offenses, said Sen. Carol Ronen, a North Side Democrat who was the amendment’s chief co-sponsor. “The juvenile court is better equipped to get these children help,” she said. Cook County Public Defender Rita Aliese Fry said the amendment is long overdue. She is now going to look into whether teenagers charged under the old law can petition the court to get their records cleared. A year after the Reporter’s investigation, the racial gaps were confirmed in two reports, one by the Cook County Public Defender’s Office and the other by Building Blocks for Youth, the alliance of advocates from across the nation that criticized the law. Following an April Reporter investigation, Karen L. Scott, director of the Cook County Department of Public Health, has concluded that Frank Barnes, the department’s liaison to suburban African American churches, is doing an “adequate” job. The Reporter found that Barnes had little to show for almost three years of work. Barnes does public health outreach and arranges prostate cancer screenings in south and west suburban churches. He presented evidence of organizing nine prostate cancer screenings, and told the Reporter “there are no ground rules” for his job. Between January and April, Barnes arranged four prostate cancer screenings at three different churches, one of which he had worked with before, according to Scott. He visited another four churches and spoke at a clergy meeting. “We analyzed our numbers. We looked at him. It appears the program is moving forward,” Scott said. Records show Barnes is one of the highest-paid employees in the Public Health Department, earning $81,071 a year. Cook County Board President John Stroger approves appointments at this salary grade, and they are not covered by the Shakman decree, which bans political hiring and firing. Cook County Commissioner William Moran, a south suburban Democrat, said he didn’t think Barnes had done enough.